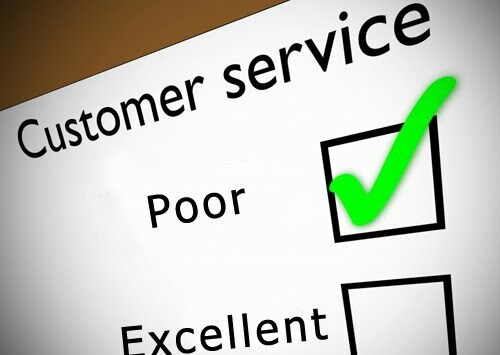 I recently had a couple experiences which reminded me how important customer service is. I don't want to bash any companies on account of the recent poor service their employees offered, so I have decided to keep the names of the businesses anonymous. Several weeks ago I took my kids to get some ice cream desserts. We ordered 7 sundaes from a fast food value menu and waited over 15 minutes before they brought them out to us. This was a popular fast food chain, not a sit down restaurant. It was not busy at all and there were no customers in front of us either. The teenage workers couldn't have forgotten about us since we were sitting right in front of them waiting. Maybe they just couldn't remember how to pull the lever down on the ice cream machine. This evening I stopped by a local haircut chain I have been to in the past. The last time I went, the gal who cut my hair did a great job and was very professional. This evening I went to the same place but there were different employees working. There were 4 other people waiting in the lobby. The hair stylists did not greet anyone when they came in or tell us how long the wait was going to be. A couple people who came in after me walked out after being ignored. After waiting quite a while, I got a "hurry up, it's almost time to close" trim that wasn't really cut as requested. I know people have bad days, stuff happens, and there is a learning curve for new employees so I try not to have a knee jerk reaction or make a big deal when I encounter poor service unless I find it to be a consistent problem with a business. One thing I really liked about Hollywood Video was how they would always greet customers when they came in the store no matter how busy they were. It's not that I'm a lonely guy and need attention, but being acknowledged when you enter a business assures you that they are competent enough to be aware of their environment and what is going on around them. I sometimes have night and day different experiences at the same businesses and it usually boils down to the customer service and attitude of the employees who are helping me. If you are an employee and think you have an insignificant job that doesn't impact people, think again.